This could be bad news for Ken Ham (ol’ Hambo) and his mind-boggling Creation Museum. There’s a competing tourist attraction starting up in Boise, Idaho called the Northwest Science Museum. The Vision Center for the Northwest Science Museum opened for business on June 14 at 1835 Wildwood Street in Boise. That’s where the public has been invited to preview exhibits and talk with creationists about the theory behind their disagreement with mainstream, evolution-based science. Organizers hope to raise funds for a fully developed creationist exhibition center sometime in the future. “The Northwest Science Museum is different from anything that’s been done before, because it will explain the biblical and naturalistic point of view side by side,” Doug Bennett, a geologist with the U.S. Bureau of Reclamation in Boise, said in the video. Stan Lutz, a Boise-based “field paleontologist” also speaking in the promotional video, described the museum as containing artifacts that will challenge the evolutionist perspective. “Our goal here is to present true science that has been hidden from the public. We have artifacts that absolutely confound the most ardent evolutionists. We have some things that some creationists have never heard of,” said Lutz, a former longtime farmer who studied at the Creation Science Evangelism Institute in Pensacola, Fla., and has been associated with the Creation Evidence Museum in Glen Rose, Texas. According to the NSM prospectus, the proposed museum would be 300,000-450,000 square feet, possess the first “full-size” Noah’s Ark replica in the United States, contain a planetarium, chapel and lecture hall, and include all the usual museum amenities like a gift shop, a cafe and a picnic area. They’re planning their own Ark. This really will be competition for ol’ Hambo. 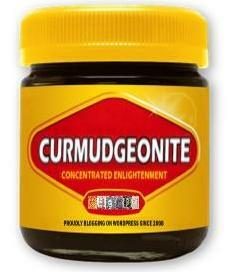 It will also create quite a problem for creationists. How can they decide which museum to visit? But that’s not a problem yet — the Boise group doesn’t even have a site selected. They’ve got the spirit, however, because they’re asking for donations. If you’re interested, here’s what they call their prospectus. It’s not what the financial world calls a prospectus, because they’re not selling stock or bonds. It’s a promotional brochure. Is the world ready for yet another creation museum? We fear that it may be. We’ll be watching for news of their progress. Update: The Miracle of the Ica Stones. Isn’t “the Creation Science Evangelism Institute” Eric Hovind & his ministry? Which places Lutz’s education at the low-credibility end of the range even by YEC Creation Science standards. Isn’t “the Creation Science Evangelism Institute” Eric Hovind & his ministry? Yup. Founded by Kent Hovind. Did they get an extra zero on the square footage of that desired museum size? 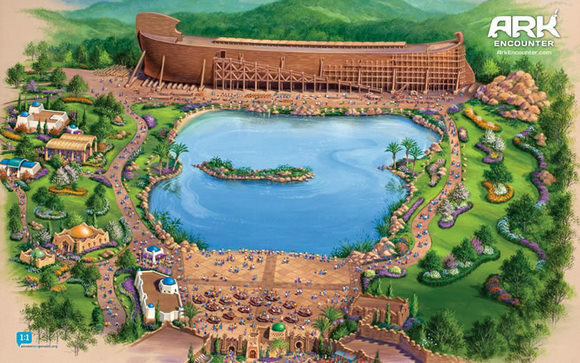 Even with an ark, I don’t see how they could fill that much space. The Rock and Roll Hall of Fame is 150,000 for comparison. Or was the size of the museum driven by how much money they think common believers will donate to such an undertaking? Isn’t that the area of a square just over one ark in length? Sounds even more like the ark park – does anyone have the plans for that? Wait, how much is the first creation waste dump making? I thought its sales were going down. Are they mining a market that has already been depleted? Any theologian/apologist worth his backward-looking pillar of salt will tell you that’s a complete waste of effort because God is far, far beyond any mortal understanding. I hope they aren’t asking for investors to contribute – I don’t feel confident about a positive outcome. It would be a little like investing in a new company thinking about making type writers because they are so sure of making a comeback. Some good news that perhaps offsets of the dismal puerility of Boise’s proposed new museum. Wow a second creation museum? They should call the one in Boise Creationland and the one in Kentucky Creationworld. And both could be lumped under the title ‘Fantasy Land’. Oops, apologies stavrosg, I completely missed seeing your “Meanwhile, in the UK…” comment before posting my “good news” one. Nice trick linking Charles Darwin personally to Adolf Hitler, given that Darwin died in 1882 and Hitler was born in 1889. And if the video in question merely wants to link the two men’s ideas, it’s not exactly treading new ground: fundamentalists have ben doing that since the 1940s (after some of them spent the 1930s praising Hitler and the early ’40’s damning FDR for “serving his masters in Moscow” by getting the U.S. into World War II against the Nazis). The fundies have also blamed Darwin for Communism, the Kaiser’s militarism during world War I, and, more recently, for contributing to 9/11 (supposedly by angering God so that he lifted his protection from America). Seems to me there are at least two Commandments beng broken here: against lying and against bearing false witness. Mr. Bennett may have other things on his mind soon. To quote Title 5 vol 3; “An employee shall not use his public office for his own private gain, for the endorsement of any product, service or enterprise,… An employee shall not use or permit the use of his Government position or title …” Identifying yourself as a government geologist in the article wasn’t the best idea. No need for that. His comment was hung up in the spam detector, for no reason I can fathom, and when I saw it there this morning I liberated it. But you had already made your comment. Lots of fun reading in their 25 page prospectus: Exhibit types, when the founders accepted Christ, evolution is a religion, demographics of Idaho, and two sentences about marketing. Just like any other museum plan. I like the fact they are young earthers. In the context of the creation/evolution controversy you would expect a paleontologist to mention not artifacts, but fossils, the naturally preserved remains of once-living things. Does the museum really possess a collection of human-made items that confound the most ardent evolutionists and validate the most zealous creationists? Or does Lutz merely think “artifact” refers to any object a museum might collect and display, without regard to its origin? Heaven forfend that he should be ignorant of the terminology in his own field. Huibers is a bit open-minded though; he supports watching Noah. It’s not surprising that Lutz wouldn’t know the difference between “artifact” and “fossil”, seeing as how he got all of his paleontological education at Hovind’s Creation Science Evangelism Institute in Pensacola, Fla. This whole thing sounds like nothing more than a fleecing scam with no intent to actually build anything. The “proposed museum would be 300,000-450,000 square feet”??? Ha! A number pulled out of thin air just to impress would-be donors. And if Lutz actually has “artifacts” that would “absolutely confound the most ardent evolutionists”, why hasn’t he submitted them for scientific review? One would think he would have done that if they were truly so earth-shatteringly important. After all, wouldn’t Lutz take great delight in confounding “the most ardent evolutionists”? Why would he wait until his “museum” is completed before doing all this confounding”? The answer is — it’s all BS; there are no “artifacts” or fossils; there are no plans to construct anything — except a grand scheme to make off with the donations they fleece from ignorant creationists. The “artifacts” are probably stuff like Carl Baugh’s hammer surrounded by concretion, which they lie about and call fossilization, then say it’s pre-Flood. Hmm, I’d rather they went bust for lack of demand than oversupply and strenuous competition. If people altogether stopped drinking the cola, Coke and Pepsi would… well, I’m sure you get the idea. Yeah, I know that’s a mixed metaphor/allusion.